In an uncompromising submission in response to Nyanda’s call for comments on the Public Service Broadcasting Bill by January 15 next year, Icasa insists that the SABC should be wholly funded by the state. It also recommends that the minister should withdraw the controversial bill and introduce a green and white paper to consult the public on the future of broadcasting policy in the digital age. The communications department held two-day public hearings on the bill in Midrand this week and it is unclear whether the ­regulator’s hard-line rejection of the bill explains why it was allegedly not informed about the hearings. Paseka Maleka, Icasa’s spokesperson, said the authority had not attended “because we did not receive an invitation or any communication from the department”, although the department denies the claim. Nyanda controversially mooted the funding of the SABC with a personal income tax of 1%, an idea that his successor, Roy Padayachie, appears to be keeping on the boil. But the Centre for Constitutional Rights pointed out at this week’s hearings that the proposed legislation constituted a “money bill”. As this could result in personal income tax being collected, the constitution mandated that the finance minister should introduce the bill. Commentators also have severe reservations about the department’s proposal to allow the Media Diversity and Development Agency (MDDA) to administer the resulting R2bn fund, on the grounds that it has a high political profile and lacks capacity. Icasa said that the minister should intervene in the SABC’s affairs only after consulting parliament and Icasa should not have the power to deal with the corporation’s administrative issues or to hold the government’s MDDA, which supports small community and commercial media projects, financially accountable. Lumko Mtimde, the MDDA chief executive, in his submission to the hearings this week, welcomed the proposed shift in the draft bill from direct reliance on commercial funding of the SABC to a public funding model. 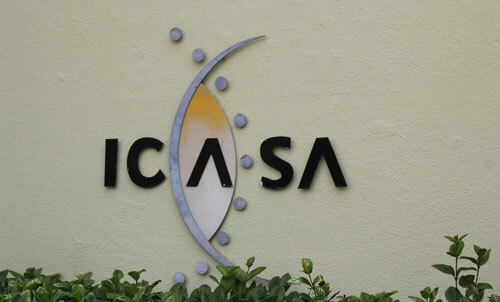 However, Icasa said that it cannot endorse the use of personal income tax to fund public broadcasting, as it was unfair to tax broadcasting licensees further. It also argued that the tax system provides for an “unstable revenue collection model” as it is inherently embedded in fluctuating economic conditions. The bill fails to deal holistically with the many challenges bedevilling the SABC and the introduction of a public service broadcasting system “effectively diminishes the role of the public broadcaster and downplays its challenges,” said Icasa. It recommended that the bill be limited to “dealing with public broadcasting service issues only, as opposed to extending public service broadcasting to all licensees”. There seems to be no economic basis for the proposed model, because there is no indication of the cost estimates of running the corporation efficiently, or of the revenue to be collected from the proposed model, the authority said.